Milford, NH ― Nextmove Technologies now offers a PELCO D joystick interface native to all of our pan and tilt antenna positioners. Enjoy the technology advantage of LinkAlign series antenna positioners with auto path alignment of both microwave and satellite applications while maintaining backwards compatibility of manual joystick control. Adding PELCO D joystick control allows operation from the joystick only and allowing the preset buttons on PELCO D joysticks to save link or satellite slot locations. 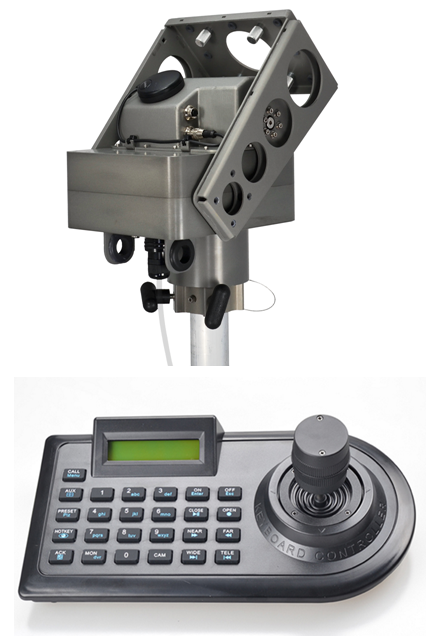 If a laptop, tablet, or smartphone interface is not available the entire automated alignment process may be performed from the manual PELCO D joystick. Pick any PELCO D compatible joystick on the market or let Nextmove deliver one with your system. Contact Nextmove today for more information.